GR Meters are economically versatile, user friendly devices. 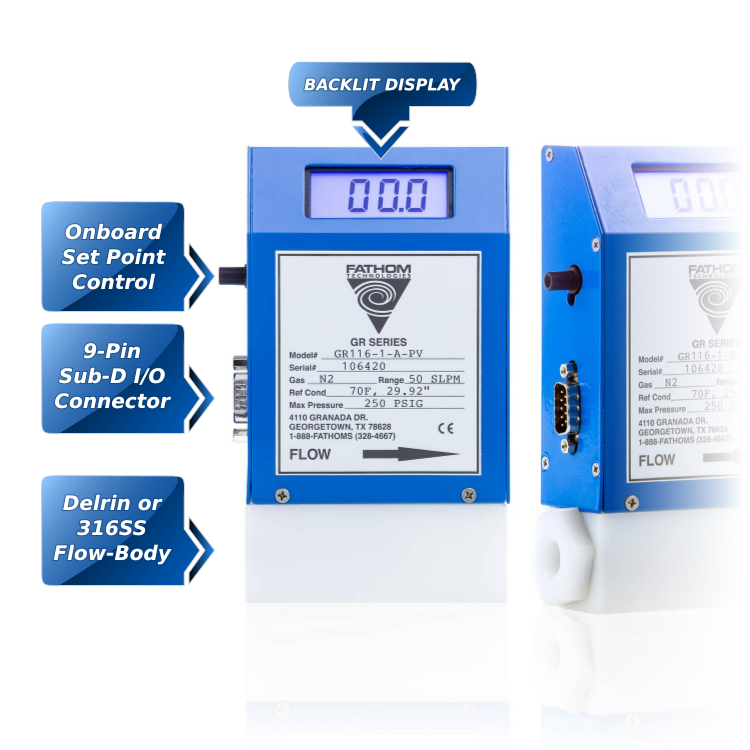 Mass flow is read directly for a wide range of flow rates and gases. Available as a meter or controller, they feature on-board backlit display and on-board set point control knob. Standard power is 24VDC supplied by an AC adapter. Their durability and NIST-traceable calibration accuracy, coupled with their relatively low cost, makes them ideal for OEM applications. Connection 9 Pin Sub "D"
The IL is available as a meter or controller. 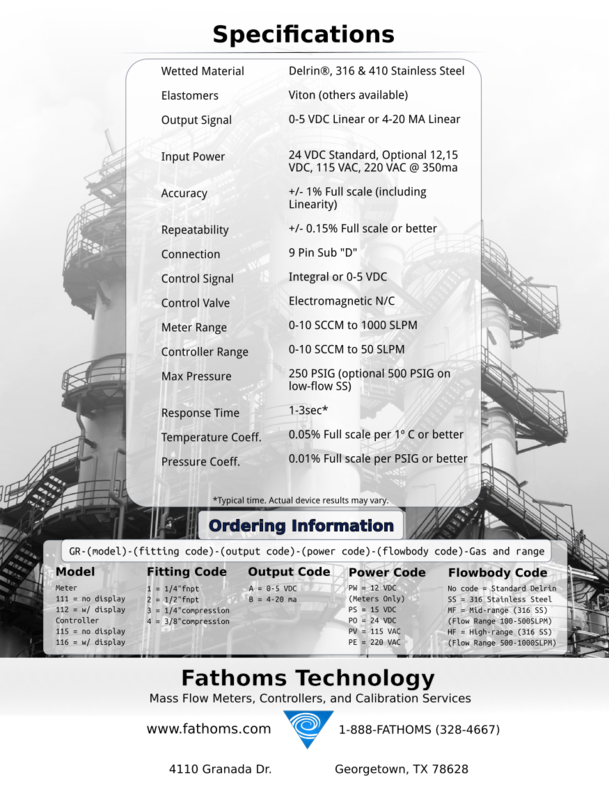 Call 1-888-FATHOMS (328-4667) or Contact Us for more information.